For many collectors who spend hours looking through bins of long-playing record albums, the name “Frankie Carle” is quite familiar. Along with other keyboard-ticklers like Roger Williams, Carmen Cavallaro, Ferrante and Teicher, Peter Nero and Liberace, Frankie Carle is a major contributor to the 33-1/3 vinyl flotsam and jetsam record collectors must navigate in their never-ending search for the “good” stuff. 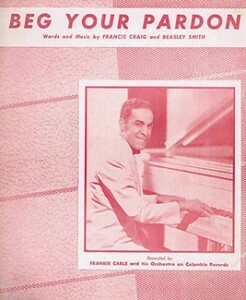 The April 1963 issue of the “Schwann Long Playing Record Catalog” lists 18 Carle albums including these titles: “Around the World”, “Cocktail Time”, “Golden Touch”, “Honolulu Honky-Tonk”, “Piano Bouquet”, “Show Stoppers” and “30 Hits of the 20’s”. 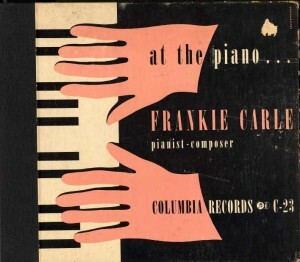 “Easy listening” instrumental music was loved by adults in the Fifties and Sixties and Frankie Carle was one of the genre’s most popular and durable producers attested to by his many releases, of which this list is just a small sample. If he had accomplished nothing else, he would stand as one of the musical giants to emerge from the Ocean State, but he did more….much, much, more. 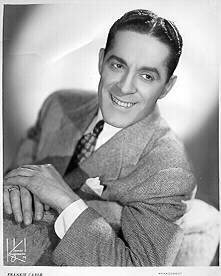 He was born Francis Nunzio Carlone in Providence, R.I. on March 25, 1903. Trained as a classical pianist by his uncle, Nicholas Colangelo, he turned professional at age 18 and early on gained real music business experience by accompanying vaudevillians. His first break was playing piano in Ed. 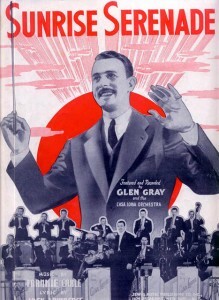 J. McEnelly’s dance band with whom he made one of his earliest recordings, “Spanish Shawl”, issued by Victor Records circa 1925. He joined Mal Hallett’s popular New England-based outfit in the mid-30’s and stayed for approximately four years. With classical piano training from his uncle and jazz experience gained from working professionally with such legends as Gene Krupa, Jack Teagarden, Jack Jenny and Toots Mondello, he developed his own distinctive style, described by some as light, brittle and intense. He had a buoyant touch with strong rhythm and featured melody first. Now, after approximately fifteen years of preparation, he was ready to make his mark. 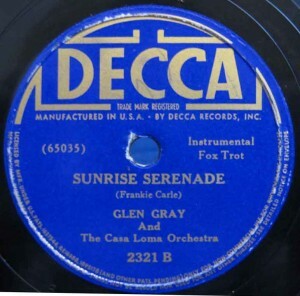 On February 17, 1939, his composition, “Sunrise Serenade” was recorded by Glen Gray’s famous Casa Loma orchestra for Decca Records in New York City, with Frankie Carle playing piano on the session. 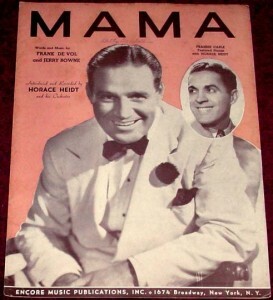 According to Joel Whitburn’s “Pop Memories 1890 – 1954”, this disc charted the week of April 8, 1939 and remained on the national chart for 16 weeks, peaking at #1 in August. 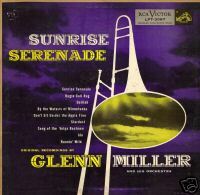 Glenn Miller followed with his own recording of this song bookending it on the flip side of this theme “Moonlight Serenade” and it’s his version which has stood the test of time, ultimately selling over 1 million copies. 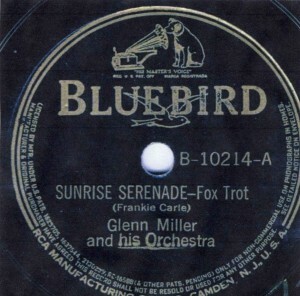 “Sunrise Serenade” also made it onto “Your Hit Parade” on July 1, 1939 where it remained for 15 weeks, peaking at #2 on August 5. 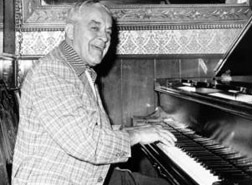 That same year, his performing career took a giant step forward when he joined Horace Heidt and His Musical Knights as the popular orchestra’s featured pianist. 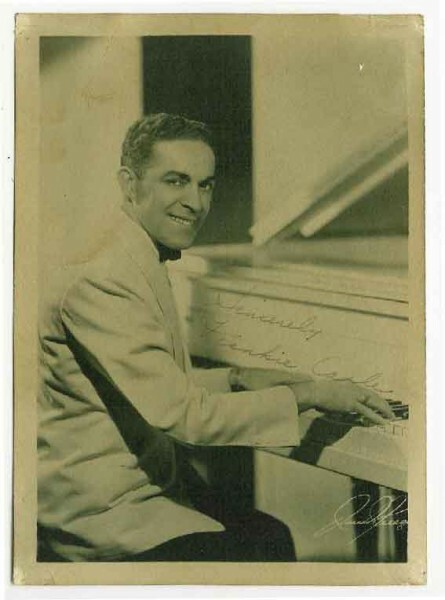 Carle was held in such high regard by his peers that when one of Heidt’s competitors, pianist bandleader, Eddy Duchin entered the service in 1941, he tempted Carle with an offer to take over the Duchin orchestra for 25% of the band’s gross, but Heidt counter-offered $1,000 per week + 5% of the gross. This was a deal Carle couldn’t and didn’t refuse. 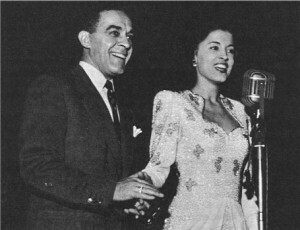 In 1943, he became the band’s co-leader. 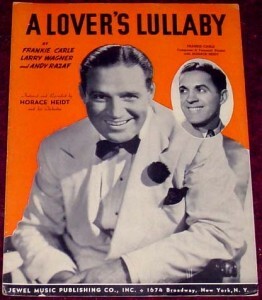 During his stint with Heidt, Carle experienced all the perks of being a member of a big-time organization such as phonograph records that sold well (five Top Ten hits in 1941), appearances on radio (“Tums Treasure Chest” on NBC from 1940-1943) and film (“Pot o’ Gold”, a 1941 flick starring Jimmy Stewart and Paulette Goddard, based on Heidt’s radio show of the same name). His experience as featured pianist, band conductor and now business partner, prepared him well; when Horace Heidt retired in 1944, Carle was ready to helm his own outfit and continue his journey to the top of the pop music world. During the early ’40’s, the Big Band/Swing Era was still happening, but the wartime draft drained many bands of their key personnel, while a concurrent Musicians’ Union strike forced record labels to limit releases of new material to vocalists. The debilitating effect of these events on the Swing Era’s many popular bands would be felt in the years immediately following WW II. Name bands of that era slowly faded away while fewer newer bands replaced them. Vocalists were now taking over. 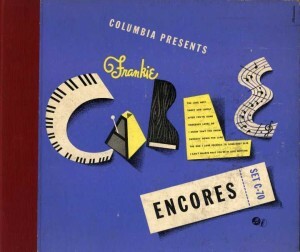 For the big bands there were few bright spots but Frankie Carle’s orchestra was one of the brightest. 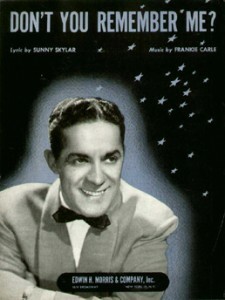 Between September 1944 and March 1949, Frankie Carle placed 19 records on Billboard’s charts, 10 of them reached the Top Ten. His biggest year was 1946 when he had two #1 smashes, “Oh, What It Seemed to Be” (which he wrote) and “Rumors are Flying”. and sheet music for one that wasn’t! He became the subject of a Walter Winchell “scoop” when the broadcaster revealed to his millions of listeners that the band’s female vocalist Marjorie Hughes, singer of both hits, was really Carle’s daughter. Frankie explained that when he was auditioning female singers, his wife slipped him a demo of his daughter taken from a local radio broadcast and he didn’t find out who it was until after she was chosen. “I liked the record and when my Mrs. said it was my daughter, I was asked to give her a chance with my band. I did not want the public to know she was any relation of mine until I found out whether she could make the grade or not. I gave her three months and had her change her name to Marjorie Hughes”. The huge success he had during this period afforded him many show-biz opportunities including radio programs (sponsored by Old Gold and Chesterfield cigarettes), film (My Dream is Yours), and continued personal appearances. He kept composing and recording. In 1955, he broke up his band but contunued to perform solo or with small units. He was honored with a star on the Hollywood Walk Of Fame for recording on February 8, 1960. He last toured in 1983, and was inducted into the Big Band and Jazz Hall of Fame in 1989. From the list below, it’s clear that Frankie Carle was the MOST successful “pop” music figure to come from Providence, R.I. and with 27 charted singles and 8 charted albums to his credit, a very good case can be made for proclaiming him Rhode Island’s top recording artist of all-time, rock ‘n’ roll era included. Frankie Carle died on March 10, 2001 in Mesa, Arizona at the age of 97. 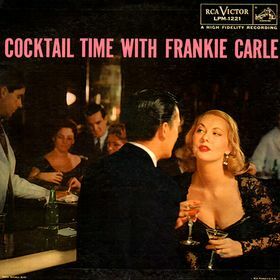 Here is a complete listing of all charted Frankie Carle singles. All data is compiled from my publication “The Hot Charts” Series, which ranks the top singles of each month for these years. Here is a list of all Frankie Carle albums to appear on Billboard Magazine’s album chart from 1945 through 1952. All titles reached the top ten.